With no more student-appointed representatives on the Independent Review Council, UCPD answers only to the administration—not the people it polices. Since its inception in the 1960s, the University of Chicago Police Department (UCPD), one of the largest private police forces in the world, has gradually expanded its patrol zone to include a total of five neighborhoods in Chicago’s mid-South Side. Within its jurisdiction live over 65,000 residents, most of whom have no affiliation with the University. Although the CPD is chiefly responsible for investigating crimes in the area surrounding and including the University, UCPD officers have the power to detain, arrest, and use force, an authority that has gone largely unchallenged—until recently. The Campaign for Equitable Policing (CEP) was formed in 2013 after a number of community members across the South Side began sharing stories of routine harassment and intimidation. In particular, a number of young black students at high schools in Kenwood and Woodlawn reported being stopped-and-frisked, told to stay away from campus, and even arbitrarily detained for “suspicious activity.” UCPD officers are able to get away with this aggressive style of policing often without any disciplinary recourse, since Illinois law does not require private police forces, including the UCPD, to disclose information about their practices. In the spring of 2015, CEP was able to force the University to begin releasing limited incident report data for the UCPD. CEP played a crucial role in drafting campus police reform legislation that passed the Illinois House unanimously before stalling in the Senate. The University has since notably altered its style of policing, and traffic stop data suggests that the UCPD has moved away from intimidation tactics. Despite these changes, the UCPD still isn’t subject to the Freedom of Information Act (FOIA), making it impossible for the University to be held fully accountable for its policing practices. Although the UCPD has a track record of obscuring data and shirking transparency, the University has traditionally provided some semblance of oversight power to students and community members. The Independent Review Committee (IRC), the body responsible for reviewing complaints filed against the UCPD, is the sole community-based check on the UCPD’s seemingly limitless authority (beyond that, it reports to the board of trustees of the University). Historically, the University has offered the student body some voice in the process of determining the membership of the IRC. Three seats out of 11 have typically been reserved for students who are appointed by our democratically elected Student Government. The rest of the committee is comprised of two staff members, three faculty members, and three community members, all historically chosen by the Provost’s office. In a dramatic power grab, the Provost’s office recently revoked the student body’s ability to directly nominate students to serve on the IRC. Effective this quarter, every member of the IRC will be appointed by the Provost’s office without any input from the student body. This effectively means that the Provost, an administrator accountable only to the 55 trustees of an elite private institution, has the power to make unilateral decisions about the composition of the IRC. That one person with no vested ties to the South Side other than a monetary interest in the University has the sole regulatory power over a police force with public power is ludicrous. Coupled with the fact that the IRC doesn’t actually have the authority to do anything beyond issuing recommendations, it is clear that there is nothing “independent” about the IRC—the power to discipline UCPD officers lies solely in the hands of administrators. Unfortunately, the University of Chicago’s antagonistic attitude toward the community around it is nothing new. Ever since the Great Migration shifted the demographics of the mid-South Side from an affluent white area to one of the largest population centers of African-Americans in the country, the University has been diametrically opposed to the perceived threat of Black Chicago. Although the institution has more recently put up a front of progressivism, touting Hyde Park’s economic vibrancy and racial diversity—a valid yet somewhat misleading claim—it is important to consider how it came to be that way. In the middle of the 20th century, the University, through its urban development arm, the Southeast Chicago Commission, advanced policies of urban renewal and adopted aggressive broken-windows policing. The result was the demolition of low-income housing and the displacement of thousands of poor African-Americans with the support of much of the South Side’s intelligentsia—of both races. The often repeated quote, “black and white, standing shoulder to shoulder against the poor,” describes Hyde Park’s complex history quite well. 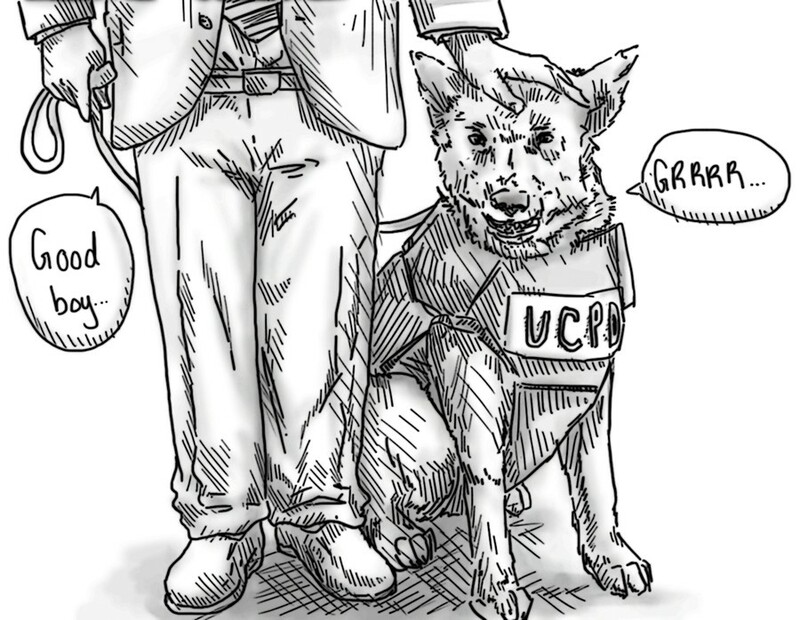 The UCPD is the modern manifestation of the University’s classist agenda. Comparing Hyde Park to surrounding community areas, it is evident that racial difference is not the only dissimilarity present; a marked class gap is perhaps the most salient distinction between Hyde Park and other South Side neighborhoods. Our community area has a median household income on par with the city of Chicago at large, whereas nearly half of Washington Park residents live in poverty. The rapid development of 53rd Street and the construction of upscale condominiums and businesses in Hyde Park in the coming years will likely exacerbate this economic segregation. The establishment of a Presidential Library on the South Side will undoubtedly have a similar effect as tourism to the region surges. The fact that Hyde Park has one of lowest crime rates on the South Side allows for the University to spearhead what increasingly appears to be a second wave of urban renewal—a yuppification of Hyde Park, per se. As opposed to forcibly kicking poor people out, the University is now attempting to bring rich people in. The sense of safety that a private police force provides to the middle and upper classes is instrumental to this effort. Although there is nothing inherently wrong with Hyde Park’s low crime rate—certainly, low crime is ideal—operating an unaccountable police force is ethically questionable. In resorting to such tactics, the University disavows its responsibility to the community that it supposedly anchors. Instead of focusing on economic development that benefits all South Siders, the University appears increasingly set on perpetuating urban renewal. During fifth week, CEP organized a Week of Action, culminating in a demand that Provost Isaacs strengthen the oversight of the UCPD. The following Monday, Provost Isaacs met with the Assembly of Student Government and faced scrutiny for undermining SG’s longstanding authority to nominate students to the IRC. In response to a question from a student regarding CEP’s request for a meeting, Isaacs outright refused to commit to having a meeting with the Campaign. Given his position as the overseer of what is effectively a public police force, his failure to engage with students and community members is cause for alarm. Continuing to ignore student and community demands for substantive representation on the IRC is egregious, especially at a time when conversations about equitable policing are at the forefront of national politics. The Provost’s refusal to hold the UCPD accountable to students and community members has massive implications not just for racial justice, but also for the economic landscape of the Hyde Park–Kenwood neighborhood. Community development should be a democratic endeavor, one that takes into account the multifaceted history of the neighborhood and prioritizes the needs of residents over the motives of the University. A fundamentally non-transparent IRC not only allows for racial profiling, but also more strikingly, completely cuts students and community members out of the process of shaping the future of the mid-South Side by allowing the capital of one institution to dictate policy on behalf of tens of thousands of people. Cosmo Albrecht is a second-year in the College majoring in public policy.